Pretty Me Up! : Tranquility Lashes: Eyelash Extensions Review! Tranquility Lashes: Eyelash Extensions Review! When even the simplest beauty routines include mascara, is it no secret that women feel more confident when their eyes are defined? A bold, rich lash line makes our eyes more noticeable, appearing alert and friendly. Many of us seek out eyelash extensions as a mascara replacement, saving us time in our daily beauty regiment. 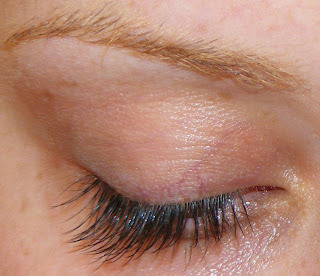 Tranquility Lashes believes lash extensions can be so much more. 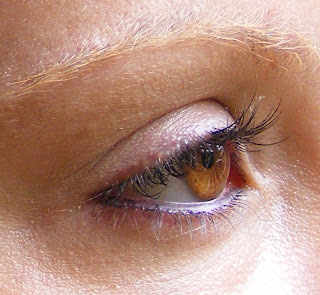 Extensions can thicken, extend and shape your eyelashes to create an improved, defined line. The end result is a youthful, shining glow that is effortlessly natural and completely customized to your unique features. Every eye is unique and we personalize our service for every client. Our goal is to go beyond just replacing mascara – we want to create a more confident you. We begin in our relaxing environment that allows for rest and reflection. While our trained specialist applies your eyelash extensions, you will forget the stresses of the day. You will emerge feeling rejuvenated and ready to front the world with a fresh, new look. True beauty is found in confidence. Our goal at Tranquility Lashes is to help each of our clients achieve a new confidence with our custom eye enhancements. We believe eyelash extensions can be much more than simply a mascara replacement – they can transform. Tranquility Lashes is proud to use the most reputed eyelash extensions in the industry,Xtreme Lashes. Each lash is selected and applied individually, allowing your specialist to create a look specific for you and the unique beauty of your eyes. Loved by celebrities, Xtreme Lashes are safe, lasting, and feel like real lashes. In addition to eyelash extensions, Tranquility Lashes also carries many Xtreme Lashes products you can use to keep your extensions looking their best. With regular care and touch-ups, your extensions can last indefinitely. Tranquility Lashes is located near downtown San Diego and Golden Hill. It is on a residential street, actually in a home which is pretty great. It's quiet, relaxing and I felt at ease with the environment I was in. Tranquility Lashes carries Xtreme Lash products. I ended up buying a few eyeliners and let me tell you, they are AMAZING! As founder and owner of Tranquility Lashes, and a certified Xtreme Lashes Stylist, Jason Hill is committed to personalizing your Tranquility experience and enhancing your natural beauty. After graduating from the University of Washington with a Bachelor’s of Science in Neurobiology, Jason worked for several years in neuroscientific research and microsurgery. The precision and technique developed during this time serve as the springboard for Jason’s success in the exacting work of custom eye enhancements. Jason’s creativity, expressed by his lifelong interest in music and art, drew him from the biotechnology industry. "I felt there was something missing in my life," says Jason. "It was the ability to express myself artistically and connect with others on a personal level." The combination of Jason’s scientific skill, artistic passion and love for serving others ensures his clients are thrilled with their new extensions. His success speaks volumes to the devotion for his art of enhancing the unique beauty of the eye. We invite you to experience his personal and customized service — you will leave transformed. A piece of Ghiradelli chocolate awaited me on the table! Here are the Xtreme Lashes that Jason used. They even make colored lashes! How fun would that be to have bright colored lash extensions?! Jason's HUGE lash extension kit! He has something for everyone! These are the lashes he used on me to create the "transformation." Like I said, I came home with about 3 eyeliners. Jason knew I would love them, and he was right! These liners are super pigmented and buttery-smooth. Once they set, they do not budge which is fantastic! Check out Tranquility Lashes Services here! I received the "Transformation" service. It is normally $295, however it is on special promotion right now for $245. The Transformation takes approximately 2 hours. Your advanced trained stylist will create a custom design for your eyes and apply enough lashes to forget about mascara, eyeliner, and curlers altogether. More than just replacing your traditional routine, you’ll see yourself in a whole new way. Your eyelashes will be thicker, darker and perfectly curled resulting in eyes that are open, youthful, and inviting. My experience at Tranquility Lashes was really great. This was my first time ever getting eyelash extensions. Jason is very kind and he knows what he's talking about! He is truly a lash artist!! The entire experience was actually relaxing. He wanted to make the space a more meditative environment. While you are laying there for a couple of hours you can relax and get away from life's daily stresses. Jason has wonderful energy and he helps to make you calm. Follow Jason Hill from Tranquility Lashes on twitter! Check out the photo gallery for some before and after pictures. 1. Tell us a little bit about yourself... What inspired you to start this business? I found new inspiration in the newly-emerging industry of eyelash extensions back in 2007. My best friend Ignacia Garcia, now owner of Flutter Lash Studio in Chicago, had become extremely passionate about them and had converted her clientele from hair to eyelashes in less than a year (www.FlutterLashStudio.com). After becoming a bit disillusioned with pharmaceutical research, my heart was yearning to do something where I could directly benefit people. I wanted to create a place where women could transform; not only on a physical level but on a spiritual level also. 2. 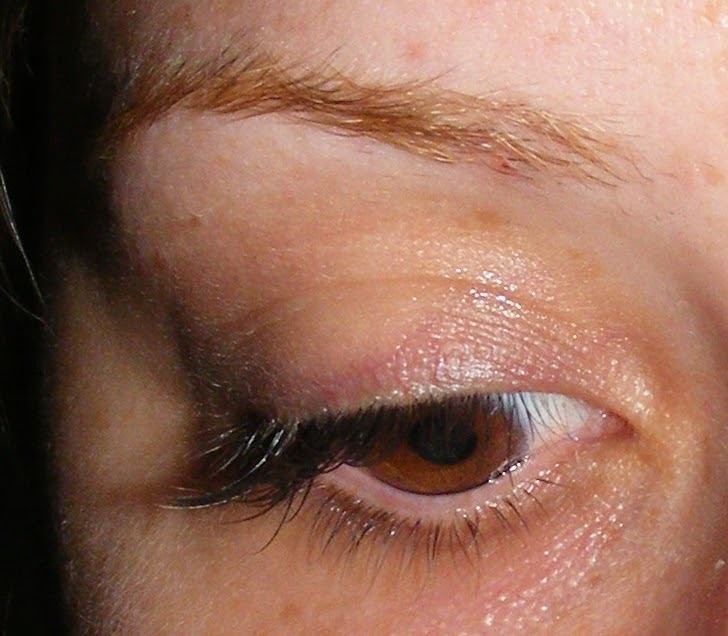 What is your average client seeking with eyelash extensions? My clients are seeking two things: one- simplification of their beauty routine and two- quality time to unwind and be present with themselves. For my clients it all comes down to having more time for themselves... It’s a self-nurturing & empowering thing. 3. How long have you been doing this? How long has Tranquility Lahses been in business? Right off the bat I started my own company, learning lashes & entrepreneurship at the same time starting the beginning of 2008. Since March of 2008, applying Xtreme Lashes has been my exclusive means of income. 4. What makes Xtreme Lashes so great? Is it your favorite lash extension brand? Xtreme Lashes are the industry leader in eyelash extension training and products. The inconsistency of “competitor” lashes in their length and curl and their quality of glue has kept me an Xtreme Lashes exclusive stylist from day one. They are consistently researching cutting edge application and design techniques and providing us with amazing new products to enhance the effects & durability of the lash extensions. 5. For a first time, who has never tried eyelash extensions, which service do you recommend? It really comes down to what results you’re looking for. If you want to experience the complete benefits of fullness and length eyelash extensions can provide, they should try the Couture service. If they’re wanting to “test them out” I’d suggest trying the Flirt, where I apply lashes to the outer portion of the eye. 6. As a lash stylist/artist, what sets you a part from the rest? One thing that sets me apart as a lash artist is that I’m a specialist. I don’t provide any other services. This means I have a heck of a lot more experience & expertise than those that are doing skincare, nails, or hair. The second thing that makes me unique is that I’m also an energy worker (Reiki & Theta Healing) so many people find that the time they spend with me is healing & restorative. Beauty treatments for the inside and out is what people get when they come to Tranquility Lashes. 7. Do eyelash extensions ruin your natural lashes? Or is this a myth? Unfortunately eyelash extensions can and do ruin natural lashes with poorly trained and/or inexperienced lash technicians. This industry is so new that there is a general lack of education. I only suggest seeing Pro-Directory Certified Xtreme Lashes Stylists- meaning ones that can be found on their website www.XtremeLashes.com. While there are thousands of people claiming that they “do eyelash extensions,” there are only a few in the nation that meet Xtreme Lashes’ high standards to be listed on their website. Of course, these specialists are highly sought-after and their prices reflect this... I really suggest sticking to mascara and the occasional strip lashes for those that can’t afford the cost of seeing a well-reputed specialist. 8. What are your favorite Xtreme Lash products and why? I always emphasize the importance of purchasing Xtreme Protective Coating and Xtreme Eye Makeup Remover for proper maintenance of their lashes. My favorite cosmetic product of theirs are GlideLiner Eye Pencils. They are a liquid liner in the easy to apply form of a pencil. Those babies last all day and don’t budge. My clients absolutely love them. The following service was provided to me, complimentary, by the company being reviewed. Lucky you! your lashes look fab now, its amazing how natural looking they are! Wow, so awesome! Thanks for the great review Whitney! Oh my goodness you are so right they are perfect. I am forever going to remember ' nappy eyelash extensions ' your too much. Wow, thanks for that amazing review!! WOW, your lashes look fabulous!